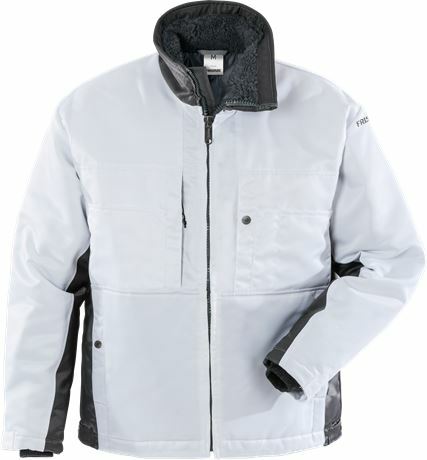 Winter jacket for painters with extended back. Classic design with fibre fur lined collar. 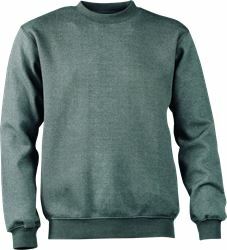 Material: 100% polyester, dirt, oil and water repellent. Quilted lining. Weight: Outer fabric 260 g/m², lining 160 g/m². Zip to top of collar / Fibre fur lined collar / Chest pocket with zip / Chest pocket with snap fastening / 2 front pockets with snap fastening / Inside pocket with button / Inside mobile phone pocket with velcro fastening / Loop for earpiece / Adjustable hem and cuffs / Extended back / Zip in lining for easy embroidery / Approved according to EN 342.